It’s been nearly three weeks since the Canada Line has opened, and I keep thinking about how much it has changed my daily life every time I take it. Sure, there might be a day when something goes wrong and the next train will take forever to show up that I’ll be reduced to the multi-bus commute to get to work (which has already happened but not on my watch), but accidents, mishaps, and generally bad days can and do happen. I had a great experience riding the train home on the day of my first commute. Standing at the platform, a co-worker walked down the stairs while I was waiting for the next train. I was heading downtown, and he was going to pop off into Yaletown. He doesn’t live around there but couldn’t pass up the chance to try it out. We stood there talking about how he was using the opportunity to shop around Yaletown a little before going home, which I’m sure many businesses down there are hoping for more of, when someone else walked up to chat about how amazing this whole thing was. I couldn’t help but nod my head with the stranger while he sipped his frozen latte. This man was genuinely excited about this new form of transit, as crazy as that is to think about. But I had a very hard time disagreeing with him, minus the whole wishing people die thing. Public transit is awesome, especially when it works. You go to New York or Toronto, and the subways are so prevalent that people don’t even think about how to get to the bar, it’s basically implied you’re gonna take the subway. Having to hunt for a cab or stand and wait 20 minutes for a bus is just archaic. I’m glad they are moving to mass transit, as more people would use it. And yes, out to the valley would be great! When I spent a month in London I got everywhere by the Underground. I agree the more it is available the more it will be used. Surrey Mayor has already suggested about Surrey paying for it to be extended to Guildford and I think Langley with the Casino money should extend it the rest of the way. I understand this type of transportation can bring in unwelcomed types to a community but the 1% should not dictate the action of the 99%. I, for one, am looking forward to my next flight from YVR and the Canada Line ride on the way there. I was thrilled with my one and only experience so far. It far exceeded all of my expectations and — coming from Chicago with its El — they were huge. One of my biggest surprises was the accessibility of the stations and trains, which are also huge. No offense — but the Skytrain looks like the Canada Line’s distant (and smaller) ugly cousin! Since I have twin daughters, I was pleasantly surprised at how easy it was to navigate the system with a double-wide stroller. It was even more stroller-friendly than the wonderfully accessible subway in Bilbao, Spain, which I recently visited with my two girls. As residents, we know the city is great but others are finding out too. 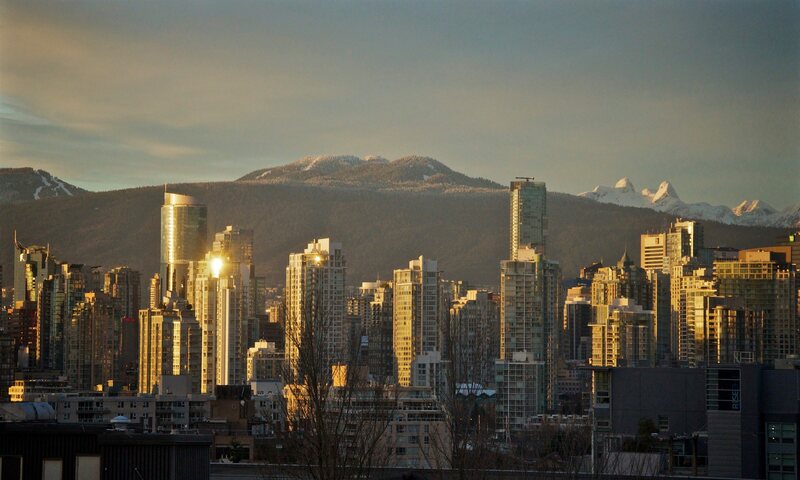 Vancouver is repeatedly rated as one of the top cities of the world and this means the city will continue to grow in population. The larger sized trains are not just good for parents with strollers or people with disabilities, but everyone. It’s clear that the planners built in extra capacity for future growth who will choose to call Vancouver home, just as I have. The size of the train, both inside and out, made me feel like I was in Toronto, NYC or, yes, Chicago. I have to wonder if part of this was done to accommodate the Hollywood North crowd which could allow Vancouver to entice more film crews.